From Maikaii. Is music your preferred company during the day? 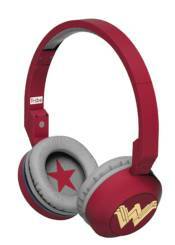 Then choose Pop headphones, Tribe's solution for anyone with rhythm in their blood! Pop headphones provide top quality audio and are equipped with an integrated microphone so you can answer or talk on your smartphone while listening to music. The plastic headband is covered with soft padding for maximum comfort even after many listening hours. The ear cups rotate inward, making them highly practical and light to wear.